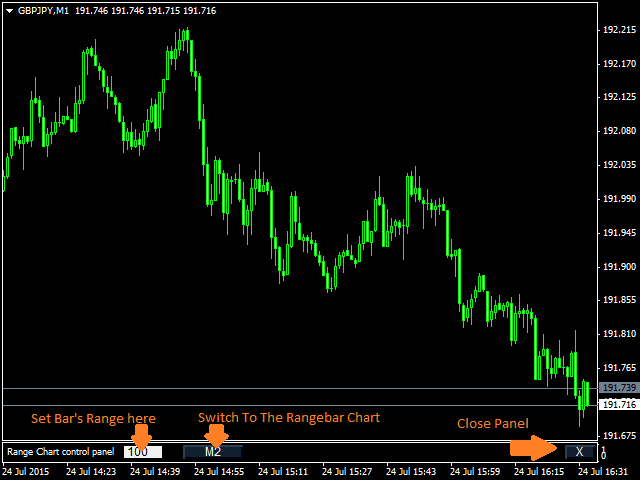 The indicator generates a RangeBar Chart based on the ticks received in real time. The history data is generated from the chart to which the indicator is attached. All the candlesticks are of a fixed size from a High to a Low. Unlike Renko, candlesticks may have a wicks that does not exceed the expected range, and the body of the candlestick can be less than or equal to this range. When the price breaks the range of a single candlestick, the indicator generates a series of dummy candlesticks to fill the price gap. 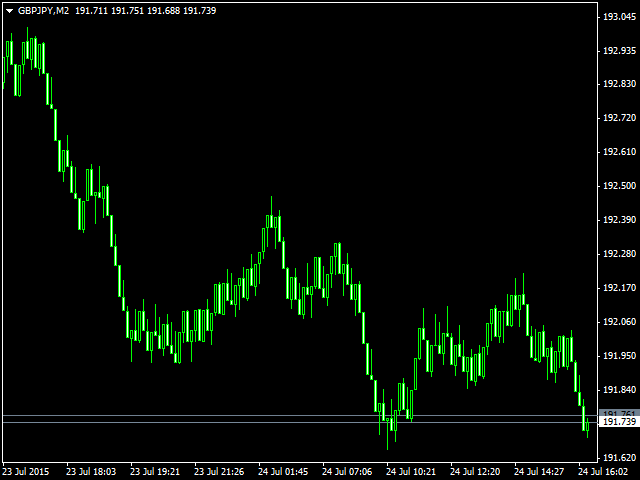 Simply drag the indicator to the base chart, type in the desired range and press the button. The resulting chart will open in a new window with the specified period. On this chart, you can use any indicators, scripts and Expert Advisors. now it work at weekend, do not frozen, improved work with advisors.